Though they new produce a full line of spices and blended seasonings, TexJoy's roots can actually be traced back to a small coffee company founded in 1921. The Texas Coffee Company supplied Beaumont and the surrounding area for years before the TexJoy line of seasonings was born. Tex Joy's product line is incredibly vast. In addition to grinding and packaging nearly all the common spices found in your pantry, they also have a variety of steak, BBQ and fajita seasoning blends. These products can now be purchased in retail stores all over the Southern United States. 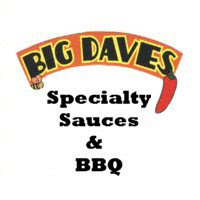 The first product I got my hands on was their original steak seasoning. Like all TexJoy products, the Steak Seasoning is packaged with a bright yellow label and their contrasting red label. My sample came in a 5.25 oz. shaker, but most of their seasonings are available in a variety of sizes. The first three ingredients listed on the package are salt, garlic and black pepper. As far as I'm concerned, that's a pretty good place to start (and stop) for steak seasoning. It also lists "other spices" and MSG. Oddly, the seasoning primarily orange in color which may provide hints of what the "other spices" are. The spices are finely ground making it difficult to spot the individual elements. I've been using this seasoning regularly on everything from steaks to fish and vegetables. It's essentially become my salt replacement and all purpose seasoning. For steaks, I prefer a more coarsely ground seasoning blend. However, it's been pretty tasty on fish and veggies. 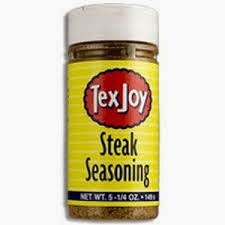 In today's crowded market, TexJoy's Steak Seasoning does little to stand out. I've used the product with moderate success, but it doesn't quite rate as a top shelf option. However, it does work well as a seasoned salt for nearly any application as long as you're not scared off by the inclusion of MSG. Check out TexJoy's entire line of seasonings, spices and coffee online HERE. 1 Response to "TexJoy Steak Seasoning"